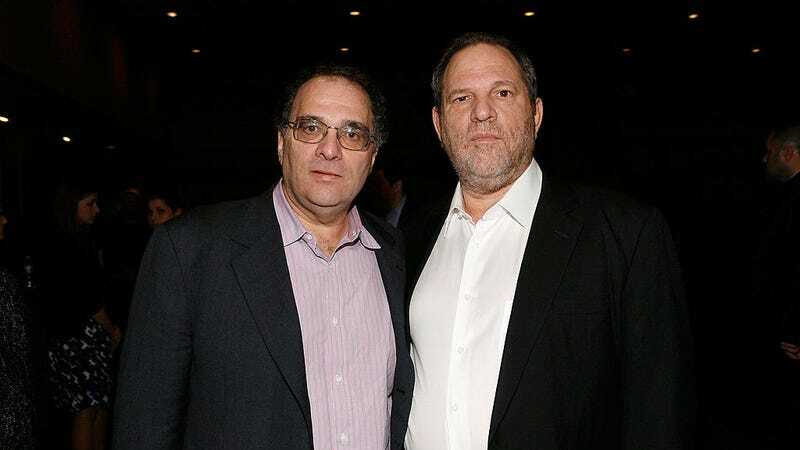 Bob Weinstein, who previously stated that he had no idea his brother was “the type of predator he was,” is now also facing allegations of sexual harassment as well. On Tuesday female show runner Amanda Segel, who worked with Bob Weinstein on the show The Mist, told Variety that Weinstein repeatedly made “romantic overtures” to her beginning the summer of 2016. When Weinstein invited Segel out to dinner one night, which she agreed to in order to establish a professional relationship with him, Segel says he asked “intimate questions” and wanted to know her age because “he didn’t want to date anyone younger than his daughter.” After driving Weinstein back to his hotel Segel says he invited her up to his room, which she declined. After that night Segel tells Variety that Weinstein began to send her emails that did not have to do with work on The Mist, tried to invite her to a beach house he had rented in Malibu, and repeatedly tried to ask her out for dinner again during the next few months, often joking that he was her boss and she could be fired if she didn’t agree. Segel says that when she brought another executive producer and writer from The Mist to accompany her to a dinner again with Weinstein, that the producer was “clearly unhappy” with the employee’s presence. After a conference call in which Weinstein yelled at Segel about a production issue, she told others that she had been sexually harassed by him for the past three months. Her lawyer then told the Weinstein Company executives that Segel would leave the show if he didn’t stop and arrangements were made so that she wouldn’t have to be in the same room as Weinstein or on calls with him again. A representative for Weinstein told the publication that he denies he engaged in any inappropriate behavior at a 2016 dinner with Segel.